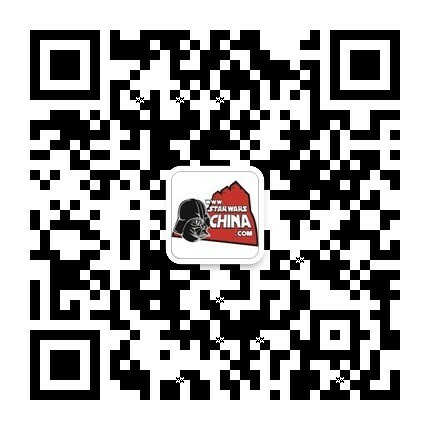 ﻿﻿ X翼星际战斗机（X-wing starfighter） - Databank - 星球大战中文网 Star Wars China - Powered by Discuz! The Incom T-65 X-wing starfighter has become a symbol of the Rebellion's starfighter corps. Pressed into service time and again, the typical Alliance X-wing shows the scars from previous engagements, though the fact that it still performs as an advanced vessel of space superiority is indication of the ruggedness of the craft. The sleek fuselage of the X-wing starfighter is 12.5 meters long. The long, narrow spaceframe is flanked in the aft quarter by four massive realspace engines. Each engine has an aerodynamic S-foil mounted on it. The wings not only serve as stabilizer surfaces in air travel, but also distribute deflector shield energy and serve as weapons mounts. The surface of each S-foil bears squadron and fighter markings. Located midway through the ship is the X-wing's cockpit module. Behind the X-wing's cockpit is an astromech socket. The astromech droid provides astrogation data for the fighter's hyperdrives, and serves as a co-pilot and technician during flight. Three landing gears extend when the fighter is docked. The X-wing starfighter became the premiere Alliance weapon when the Empire nationalized the Incom Corporation. Technicians and suppliers in the employ of Incom were secretly sympathetic to the Alliance, and during a daring Rebel raid, they defected to the Rebellion, bringing the X-wing fighter prototypes with them. Like its predecessor, the Incom/Subpro Z-95, the X-wing fighter has a reputation for being able to absorb damage, but is also quite fast and maneuverable. In response to the X-wing fighter threat, the Empire designed the new TIE interceptor to be its space superiority fighter. The X-wing would become the mainstay fighter for the Alliance for much of the Galactic Civil War. The X-wing fighter has a compact life support system of compressors, temperature regulators, and oxygen scrubbing filters. A series of acceleration compensators help isolate the pilot from deadly g-forces generated by high speed maneuvers. There is enough oxygen, fuel and power in an X-wing for a week of non-combat operations. Additional consumable tanks can be affixed to the S-foils at a cost of performance. Behind the cockpit, accessible from both behind the pilot's chair and a belly hatch, is the cargo compartment. It has a capacity of two cubic meters, and is rated for 110 kilograms. Pilots generally store survival and repair gear in this compartment. The newer T-65AC4 can carry 150 kilograms of cargo. In emergencies, the X-wing's Guidenhauser ejection seat can throw the pilot clear of the fighter. Separator charges blast the cockpit canopy free, and also launch the astromech unit from the socket. A fully integrated Torplex Rq8.Y flight computer translates flight data from control surfaces to engine performance. Like most starfighters, X-wings don't come equipped with slave circuits. Power for the X-wing is generated by a centrifugal vapor fusion and ionization reactor housed behind the astromech socket. The generator's initial spins are powered by Novaldex O4-Z cryogenic cells housed in the ship's aft engineering section. These power cells are recharged through a super-conducting port. Once powered, the four Incom 4L4 fusial thrust engines propel the starfighter. Some models were equipped with Incom 4j.4 engines rated at 300 KTU. The newer T-65AC4 can attain an impressive sublight speed comparable to the Alliance A-wing. Maneuverability is afforded by a system of etheric rudders that change thrust vectors. In an atmosphere, the X-wing's Incom RDA repulsorlift drive adaptor provides an airspeed of 1,050 kilometers per hour. The fighter handles nearly identical to a T-16 skyhopper in an atmosphere. The New Republic-era fighter can attain speeds of at least 1,300 kilometers per hour. For hyperspace transit, the X-wing is equipped with an Incom GBk-585 motivator HCU (hyperspace control unit). The motivators on each engine provide a class one performance. The X-wing's main fuselage houses most of its essential electronic components. The nosecone contains the primary sensor array, consisting of a Fabritech ANs-5d "lock track" full-spectrum transceiver, a Melihat "Multi-imager" dedicated energy receptor and a Tana Ire electrophoto receptor. An alternate configuration typically contained a long range Phased Tachyon Detection Array model #PA-9r, and a short range Primary Threat Analysis Grid model #PG-7u. The array feeds information through a shielded multiplexer relay to the ANq 3.6 sensor computer. The unit can track up to 1,000 moving sublight objects, acquire 20 possible targets, and can be programmed for extra sensitivity to 120 specific sensor signatures. At the very rear of the craft is a Fabritech k-blakan mini sensor providing the pilot a view of the ship's rear arc. One of the X-wing's primary weaknesses is a blind spot at the rear of its belly. A Bertriak "Screamer" active jammer is the standard sensor jammer employed by X-wing fighters. The Screamer isn't powerful enough to jam capital-scale sensor systems, but it can interfere with homing warheads and jam starfighter sensors. Four identical Taim & Bak KX9 laser cannons are mounted on each S-foil wingtip. During combat situations, the S-foils split into attack position, deploying in an "X" configuration. This increases the fighter's field of fire, and ensures that all lasers target in to a specific "zero" point, typically half a kilometer from the fighter. The lasers are powered by the engine power converters and are fed by dynoric energy lines that run the surface of the S-foils. A number of X-wings used Taim & Bak IX4 laser cannons instead. The New Republic era fighters employ even more powerful cannons. The laser cannon efficiency is one of the hallmarks of the X-wing starfighter. At full recharge, this allows for continuous fire. For long range targeting, the fighter has two Krupx MG7 proton torpedo launchers housed in the main fuselage. Each launcher fires from a three-torpedo magazine for a total payload of six warheads. For added accuracy in bombing runs, a targeting computer screen mask extends on a mechanical arm to assist the pilot with precise firing data. The refitted X-wing recon fighters have had the proton torpedo launcher removed and replaced with high-gain long range sensors, processors and high-speed hypertransceivers. Some X-wings were equipped with decoy and carbon-fiber chaff mines that could be fired in dogfight situations. The decoys would broadcast a sensor signature similar to the X-wing, confusing enemy scanners. The carbon-fiber chaff mines would create dangerous clouds of sensor-opaque debris that could damage pursuing vehicles or prematurely detonate incoming warheads. The X-wing's deflector shield generator is in the aft section of the vessel. It produces basic shield matrices through a catalyzation process, and then feeds deflector ducts scattered along the fighter's surface. The Chepat "Defender" projectors along the S-foil surfaces generate the starboard and port shields. This supplements the hardened titanium armor alloy of the X-wing. The expensive and high-strength alloy sedrellium is used to reinforce the X-wing's hull. Throughout the Galactic Civil War, the Alliance always had precious few X-wing fighters compared to the Empire's seemingly endless arsenal of TIE craft. As a result, the Alliance X-wings were often in a state of constant use. 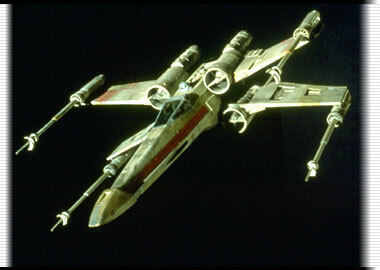 A "new" X-wing is a rare sight, as the starfighters showed the wear and tear that their pilots would subject them to. Common models of fighters in the Galactic Civil War included the T-65B and the T-65C-A2. The heroic Red Squadron that succeeded in destroying the Death Star at the Battle of Yavin was composed of X-wing fighters. The survivors of this squadron where organized by Commander Narra and Lt. Commander Luke Skywalker into the nascent Rogue Group. Under the command of Wedge Antilles, Rogue Squadron emerged as the premiere X-wing starfighter force in the galaxy. At the Battle of Endor, Wedge had the option to outfit his squadron with newer fighters like the A-wing or B-wing. Instead, he opted to go with the venerable X-wing fighter. During that fateful battle, Rogue Squadron flew as Red Group, to honor the pilots of the first Death Star battle. Rogue Squadron soon became a symbol of the Alliance itself, and the New Republic that would follow. It played key roles in battles over Bakura, Borleias, Coruscant and Thyferra. Older cruiser captains often resented the glamour afforded to the X-wing pilots, and nicknamed them "X-wing hotshots." Later, with the introduction of new fighters like the A-9 Vigilance Interceptor and the E-wing fighter, the X-wing was pushed from the limelight. Eventually, after years of research and modification, Incom unveiled a new faster Incom T-65AC4 fighter that can compete on its own in the modern starfighter combat arena. The older X-wings are being refitted into T-65BRs, or reconnaissance X-wings. The recon fighters have their missile weapons replaced with advanced sensors and communication gear. In addition, these X-wings are equipped with sophisticated self-destruct sequence that wipes the ship's computer, destroys the astromech with a shaped charge, kills the pilot with a lethal injection and then finally detonates a baradium charge that not only destroys the X-wing, but is powerful enough to cripple a nearby ship. Thirteen years into the New Republic's rule, Incom introduced the T-65D-A1 X-wing starfighter, which featured notable changes. To standardized performance in the New Republic forces, General Wedge Antilles ordered that all older model X-wings be updated to conform to the new specs. The new model featured an advanced computer system that integrated all the functions of the supplemental astromech droid into one package. As such, the T-65D-A1 needed no astromech socket, and did not sport one. The new X-wing's advanced computer system was accessible from the cockpit, allowing the pilot more customizable options during flight and combat. The introduction of the T-65D-A1, unfortunately, was exploited by would-be terrorists. Each new computer system retrofitted into an older X-wing, or that came standard with a newer model, was equipped with a hidden explosive detonator. This insidious sabotage was set to go off when a specific combination of computer commands was executed. This act grounded the New Republic X-wing arsenal for a time, and seriously hampered the success of the T-65D-A1 refit. In an effort to stave away obsolescence, Incom continually revisits and updates the X-wing design. The latest incarnation is the XJ X-wing. Sporting a trio of proton torpedo launchers, improved speed, armor and maneuverability, the XJ model is a cutting edge design that is still faithful to the classic T-65 that inspired it. It is a common vessel found in the ranks of the new Jedi Order. 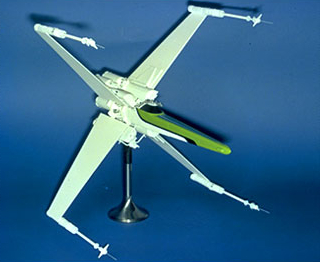 The X-wing design originated from Joe Johnston sketches and Colin Cantwell concept models. ILM constructed a variety of effects models in different scales. Their wing markings helped denote which fighter belonged to which pilot. 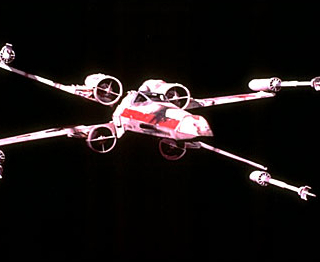 The original screenplay had the X-wing squadron denoted as "Blue Squadron," but was changed to Red in the final film since blue markings wouldn't be possible given the limitations of blue-screen technology at the time. In addition to miniature X-wings, the production crew constructed a full-sized X-wing for the Yavin hangar sequence. Judicious editing and flat cardboard mockups made it appear as if there were dozens of full-sized craft.